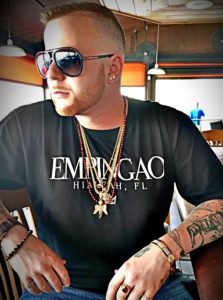 Latin Indie Rap Recording artist, Truki SpeakZ narrates the stories of his life, experiences and things hes seen and been thru. Brings you back to the art of story telling with a dope beat and diverse flow. “Got The Sauce” is a song about being the one in charge, knowing and having certain things, meaning “Juice” like from the movie Juice where Tupac Shakur had acted in the 90’s. If you got the “SAUCE”(Juice) you the man/girl. Also the song is about things in general for a latino here in miami florida. Talks about politics, streets, and life in general. Produced by Jacob Lethal. I have also been featured on these mixtapes in Coast2Coast Mixtapes.